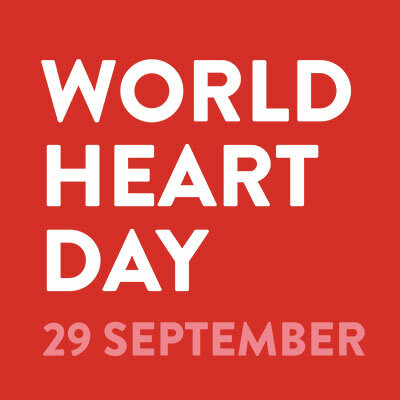 World Heart Day takes place on 29th September every year and is the World Heart Federation‘s and the world’s biggest platform for raising awareness about cardiovascular disease, including heart disease and stroke. It’s about saying to ourselves, the people we care about and individuals all around the world, “what can I do right now to look after MY HEART… and YOUR HEART?” It also resonates with the professional cardiology and healthcare audiences who dedicate themselves to looking after ALL OUR HEARTS. The main call to action for this year’s campaign is to make a promise. A promise as an individual to get more active, say no to smoking or eat more healthily … as a healthcare professional to save more lives … or as a policymaker to implement a noncommunicable disease (NCD) action plan. A simple promise… for MY HEART, for YOU HEART, for ALL OUR HEARTS. The campaign website features all sorts of Resources to support individuals and organizations to run World Heart Day events and activities. These are available now to view and download instantly on the Resources page. Currently, the Resources are available in English but other languages will be added as they become available. You can subscribe to receive updates on the Resources page. 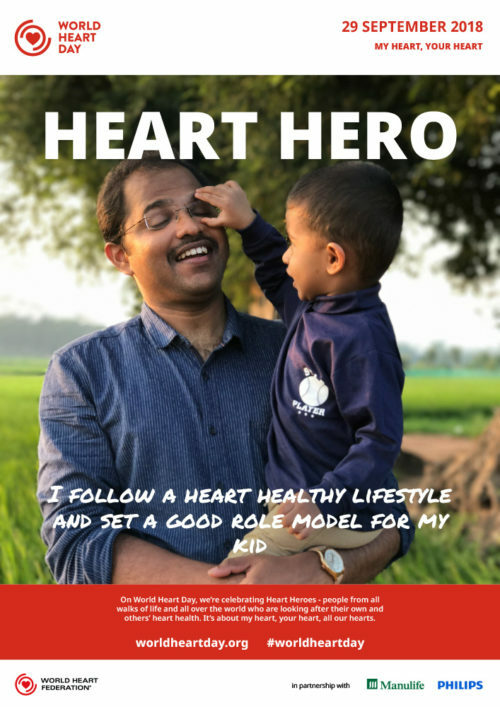 There is a campaign overview PDF available as part of these downloads which gives you an at-a-glance guide to the campaign, but if you need any further support please contact worldheartday@worldheart.org. In recent years more and more of the world’s iconic landmarks, monuments and buildings have illuminated red in support of World Heart Day. Please help us to make this element of the campaign an even greater success by arranging for an illumination in your region, and let us know at worldheartday@worldheart.org. 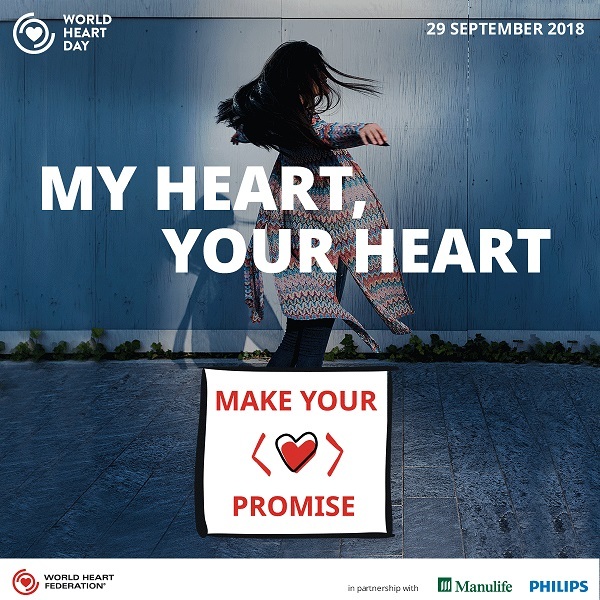 As the countdown to 29th September continues, even more information and resources will be launched on the World Heart Day website, including: the Worldwide Activities Map where you can feature details of your events, essential toolkits featuring tips on how to use the campaign, the campaign video, infographics, factsheets and more. You will also be able to customize two of our campaign posters online, to either download and print, or share on social media. 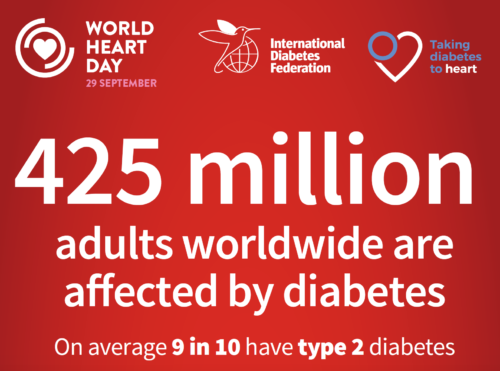 Please visit www.worldheartday.org to find out more and subscribe for campaign updates.